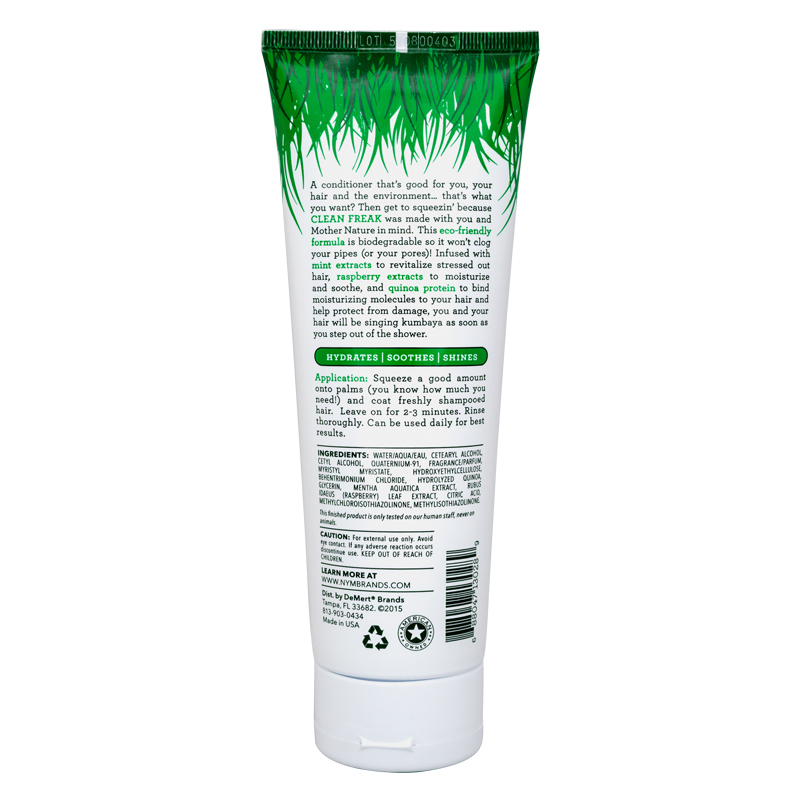 A conditioner that’s good for you, your hair and the environment… that’s what you want? 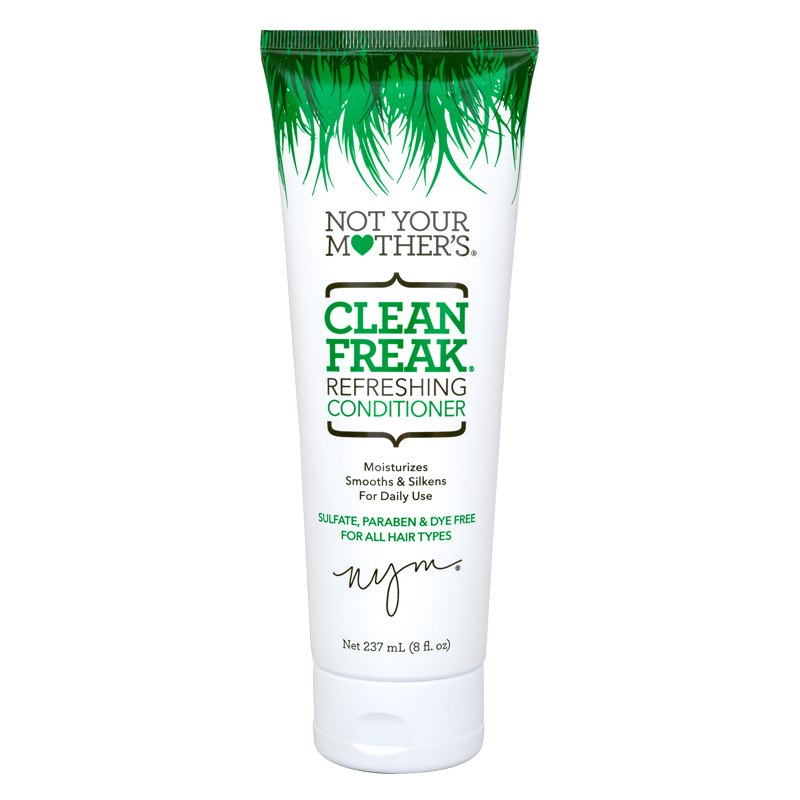 Then get to squeezin’ because Clean Freak was made with you and Mother Nature in mind. This eco-friendly formula is biodegradable so it won’t clog your pipes (or your pores)! Infused with wild water mint extracts to revitalize stressed out hair, raspberry extracts to moisturize and soothe, and quinoa protein to bind moisturizing molecules to your hair and help protect from damage, you and your hair will be singing kumbaya as soon as you step out of the shower. Application: Squeeze a good amount onto palms (you know how much you need!) and coat freshly shampooed hair. Leave on for 2-3 minutes. Rinse thoroughly. Can be used daily for best results.